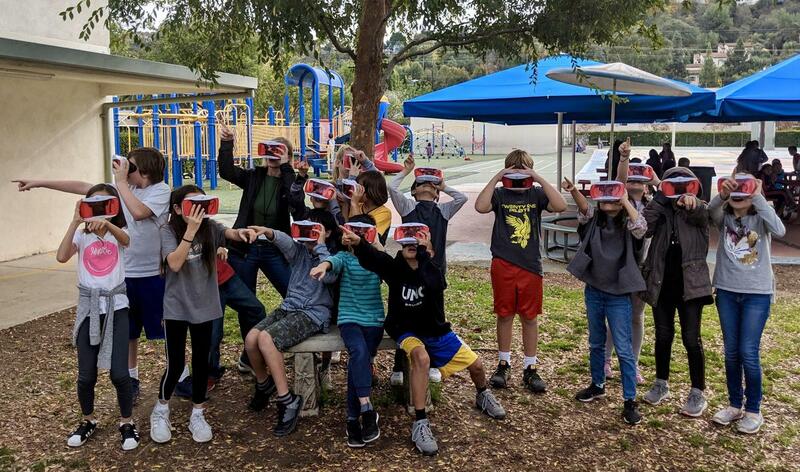 Over the past few weeks, students at Arroyo Vista and Monterey Hills Elementary schools have ‘traveled’ to famous U.S. landmarks, the coral reefs of the Galapagos Islands and the corners of the solar system. SPUSD, with support from SPEF’s Parti Gras paddle raise, recently purchased Google Virtual Reality headsets that help bring lessons to life with Google Expeditions. Technology Coach Chad Bryant helped guide K-5 students through a number of available tours, linking the content of their curriculum to these virtual experiences. Look for Marengo Elementary students to experience virtual adventures in January!